The Discernment Program offers the time and guidance which the discerning woman requires to confidently respond to God’s Will in her life. 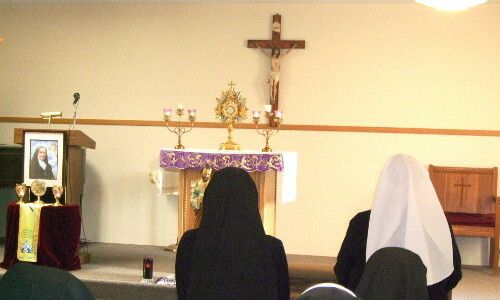 Today it is very difficult for a woman to answer God’s invitation to Religious Life. How can I be sure this is God’s voice speaking to me? Am I the kind of a person God would choose to call? Do I really know what “that kind of person” is? Do I have a proper understanding of what Religious Life is? Do I understand the role and purpose of Religious Life and why God may be calling me to it? This is the time when the woman meets regularly with the Vocation Directress and begins to know the Community. As the woman deepens her spiritual life, she grows in the unshakeable confidence of knowing that God is always with her, especially in this time of decision making. She grows in her relationship with God through an ever-deepening prayer life. She also grows in her appreciation for and knowledge of the Community. The Live-In Discernment Program offers a live-in experience for the discerning woman. This is a very important phase of the discernment process. This experience is required of anyone who requests entrance into the Community. It is also offered to those who need the additional time and first-hand experience to aid them in decision making. It is at this time that both the individual and the Community make a more serious appraisal of the possibility of the discerning woman’s future life with us. 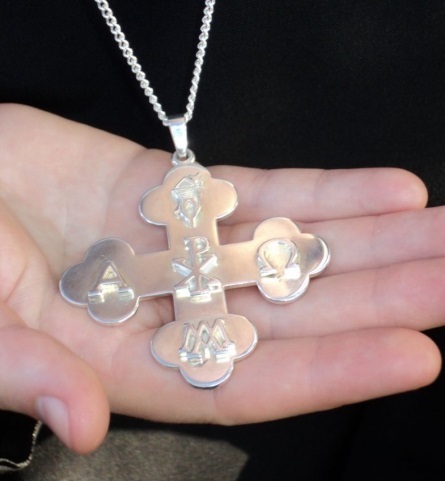 The Affiliate Program offers continued direction for the discerning woman who now believes that she has a religious vocation and also believes that she is called to the Sisters of the Resurrection. 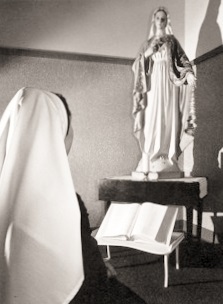 A woman who requests to join the Congregation of the Sisters of the Resurrection and is accepted enters into a Formation Program. Formation is a process, undertaken in answer to God’s call, by which the formation directress and the woman work together to listen, study, discern and humbly remain open to the working of God in her life. This is a period during which one lives with the Sisters to see the life of a Sister “close up” while not formally being a part of the Community. She receives spiritual, religious and theological training. The purpose of this period is to help her become more aware of God’s presence and movement in her life and to deepen her conviction of being called to the religious life. The duration of this stage may last from six months to two years. This is a period of two years during which one receives intensive formation in religious life and the spirit and charism of the Community. The Novice is introduced to the essential and basic demands of religious life and to the vows. Throughout Novitiate, the Novice grows in an attitude of ‘loving attention’ similar to that of the first disciples: “Master, where do you dwell?” -- “They went and stayed with Him.” -- “They followed Him.” The Novice professes First Vows at the conclusion of two years. This is a period from First to Final Vows. During the period of temporary vows, the Sister learns to live her religious life in a spirit of faith and prepare for her total consecration to God through perpetual profession. Her formation is a continuation of that of the Novitiate and is joined with theological and practical studies. She may continue her education or begin work in the apostolic ministry. This is a time for proclaiming Jesus Christ in word and by life. This period generally lasts about five years. Formation does not end on the day of perpetual profession. Each Sister continually cooperates with the grace of God, by developing to full maturity as a person and a religious in an atmosphere of faith, prayer and humility. By dying to self ever more completely, she lives the life of the Risen Christ, a life of sacrificial love for God and concern for the salvation of all.